February 3rd, 2019 - Does My Bomb Look Big In This? 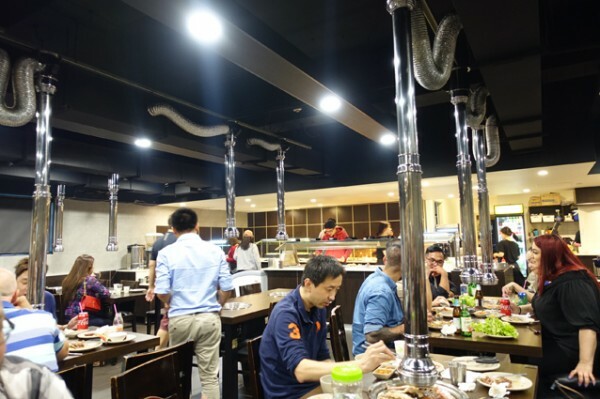 Se Jong Korean BBQ Buffet was the first time I’ve consumed Korean barbeque as a buffet. 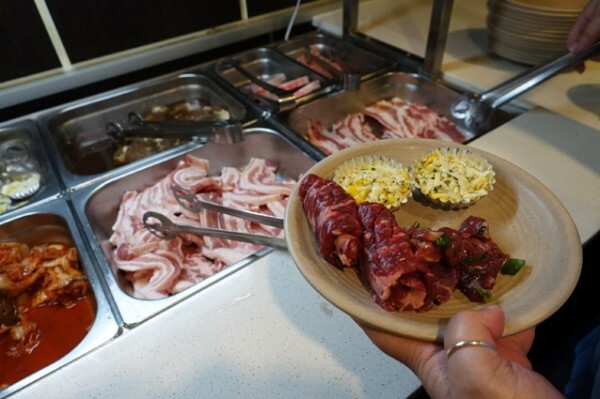 While most Korean barbeque restaurants use a menu-based system where you order ingredients, like beef short rib, by the whole plate, Se Jong Korean BBQ Buffet arranges them buffet-style for you to select at will. 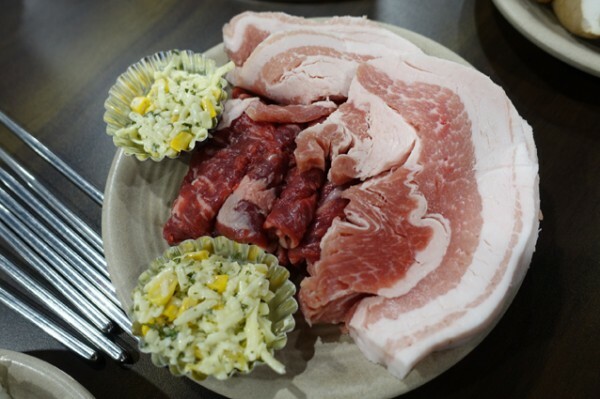 The big advantage of this way of eating is you can consume a wider variety of meat, especially if you’re dining as a pair. 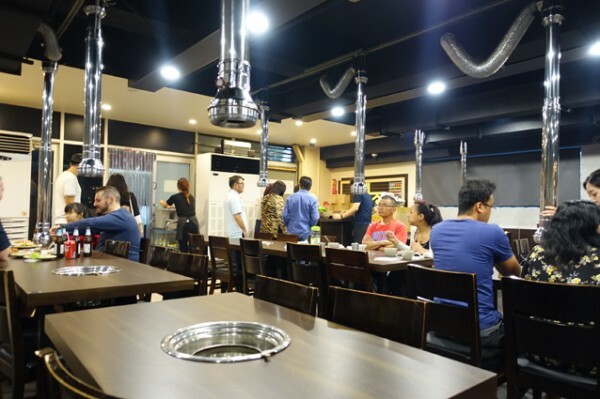 Despite sitting tucked away on a back street in Campsie, Se Jong Korean BBQ Buffet is hugely popular, even on a drizzly week night. 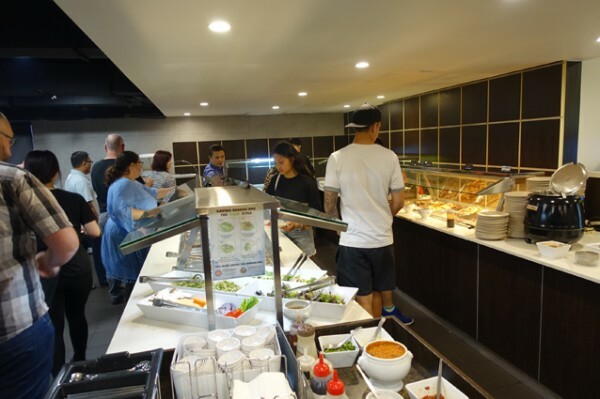 Reservations are a must because you’re unlikely to be able to walk in and secure a table. 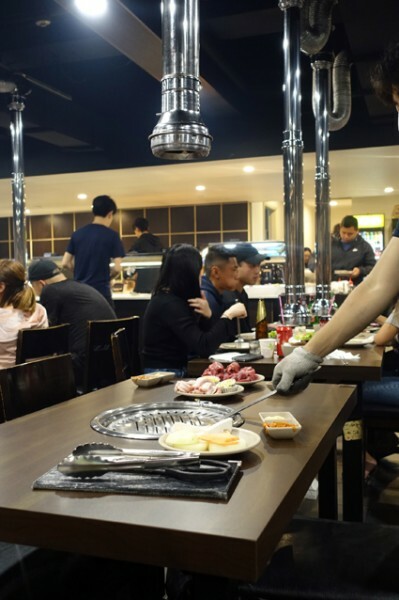 Once seated, your table is quickly fired up with hot coals and a shiny clean barbeque plate. 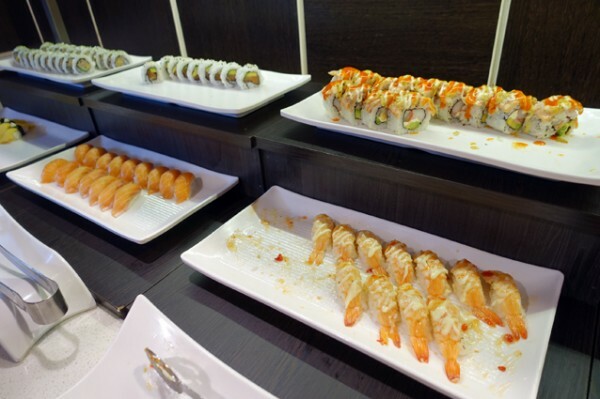 Your Adult Buffet ($39/head) is paid for at the end of your meal, so you’re able to get started straight away. 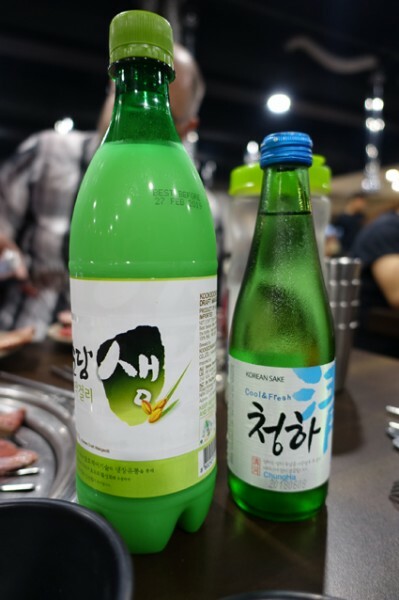 Drink orders are placed at the table, and all the usual Korean booze suspects, like makgeolli Kook Soon Dang Rice Wine ($12) and Hitejinro Chamisul Soju ($15), are available. 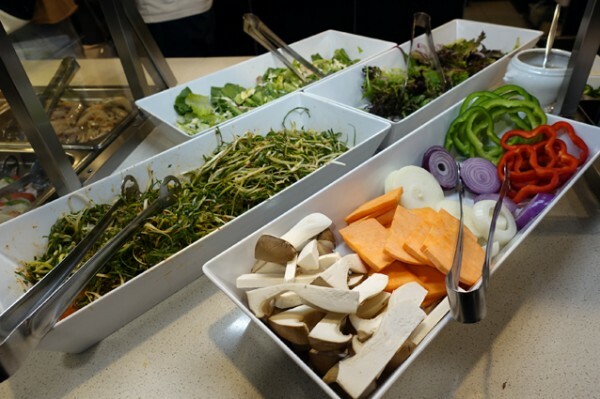 The buffet covers your whole meal from entrée to dessert. 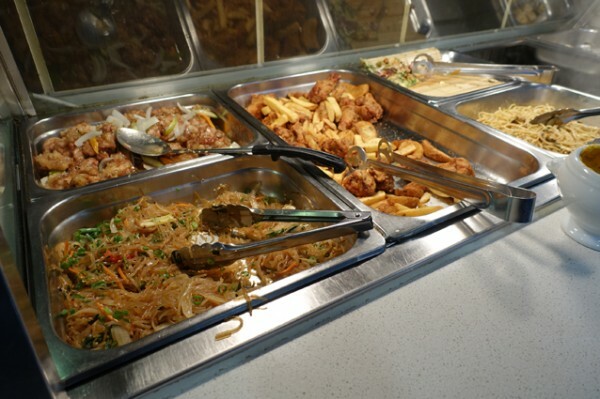 While the star is obviously barbequed meat, you’ll find everything from soups to noodles to Korean fried chicken on offer. 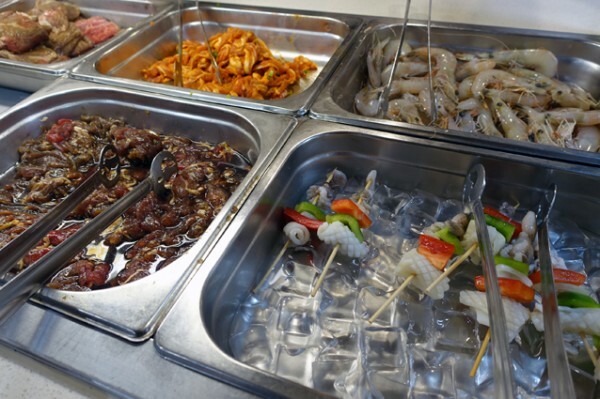 Your best bet is to load up the barbeque using a few plates of meat and vegetables, and then get some snacking plates to tide you over through the maddening cooking process in this mouth-watering room. 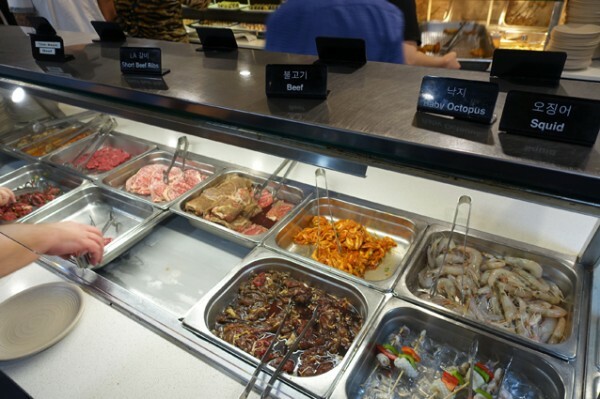 You’ll get a vague idea of what each item is via the little black signs sitting on the top of the buffet, though once again, it’s kind of hard to go wrong when you’re cooking on coals. 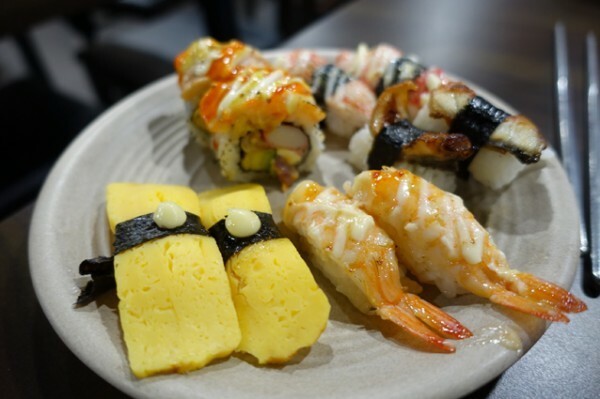 In terms of the items that don’t need further cooking, the Korean sushi is a good place to begin. 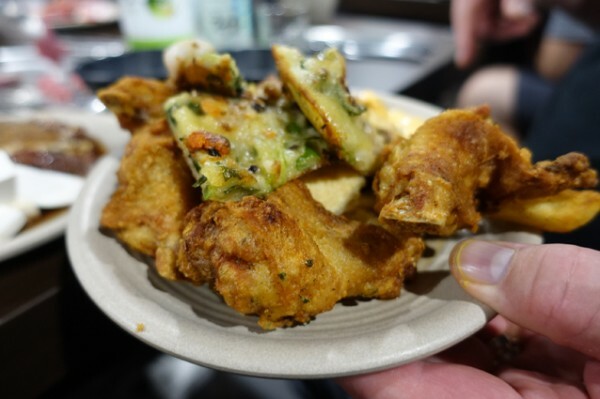 From the hot food bar, my dining companion rated the fried chook, while I enjoyed the vegetable heavy jeon (pancakes) as a contrast to all the meat. 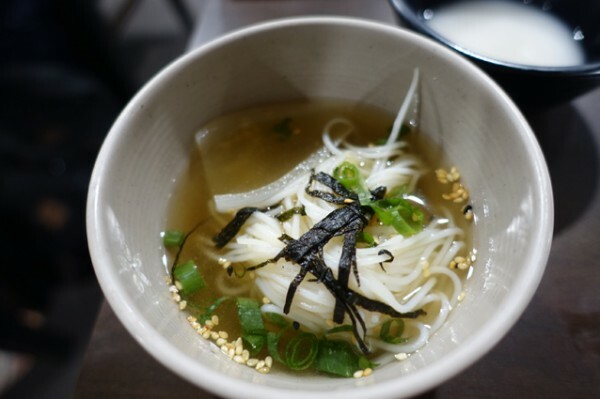 The only dishes I’d pass over next time were the noodles, as they were intensely salty, so not a good combination with so much marinated, well-seasoned meat. 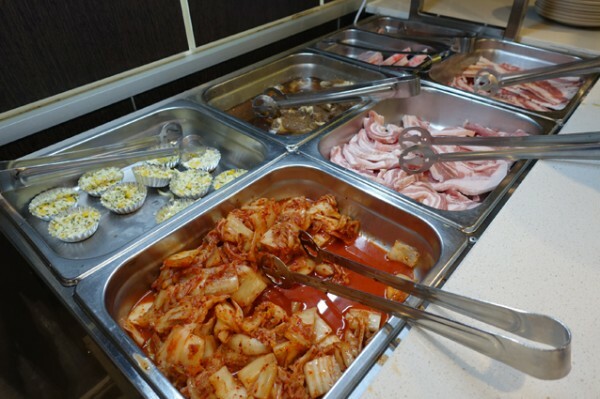 We both liked being able to eat kimchi by the bucketful – it’s the perfect digestive aid to rich, fatty, barbequed meat. 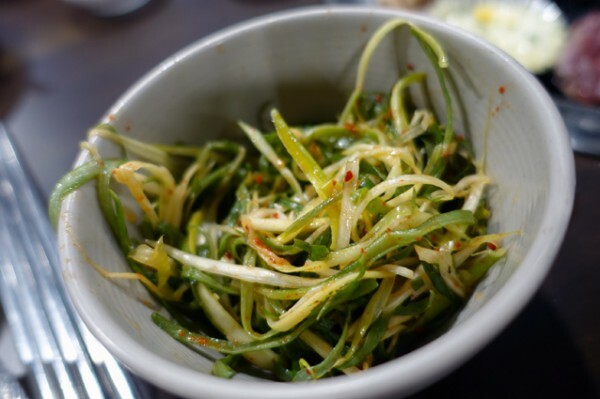 While some (usually white) people might say soups and vegetable sides (banchan), like the spicy spring onions, are wasting space, they are a part of a balanced Korean meal. 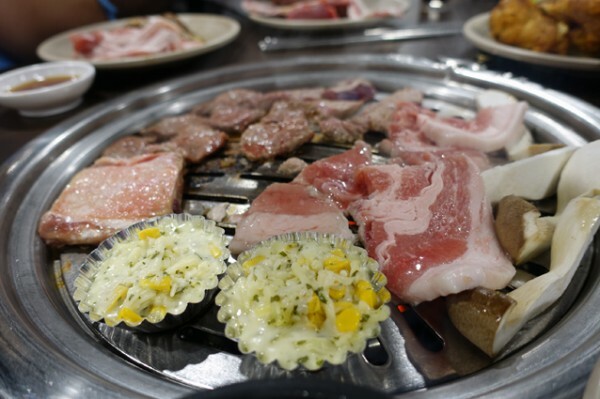 Meat can broadly be broken down into marinated and unmarinated offerings - both are worth consuming. For the rolls of beef or beautiful slices of fatty pork belly, get each diner a range of dipping sauces to enjoy them with. 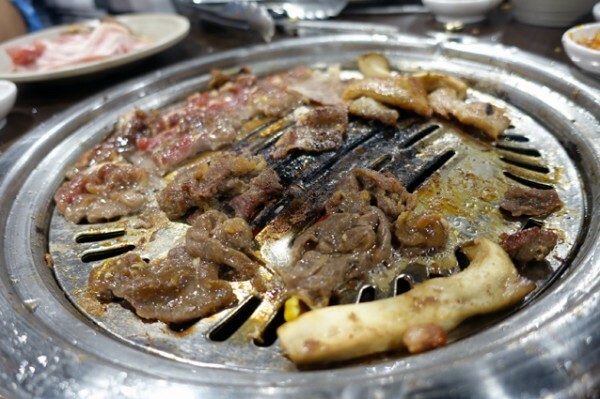 For marinated options, like beef bulgogi, just devour them straight from the grill. Individual pots of cheesy sweet corn placed directly on the grill deliver much joy. Just don't be greedy - anything you take to your table and don't eat will incur a ten buck penalty per diner. I'm for this measure, as it helps avoid food waste. 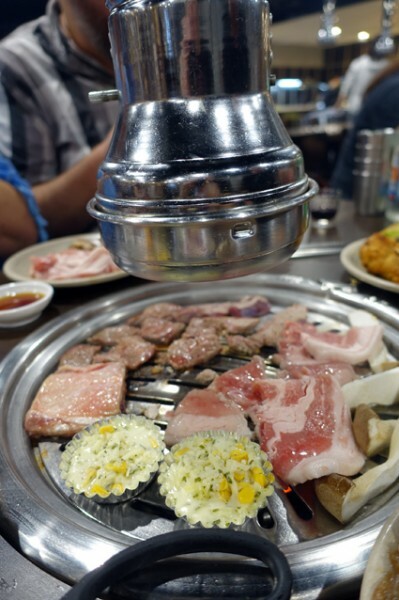 While staff are very quick to change the barbeque plates whenever they seem them darkening, and every barbeque has its own extractor fan, this is, by necessity, an environment rich with the smell of barbequed meat. Don’t make the same mistake as I did, and wash your hair before coming. When you leave, you’re going to reek of coal-fire barbeque. I left smiling anyway – good food, good friends and a perception of good value for money, will do that.